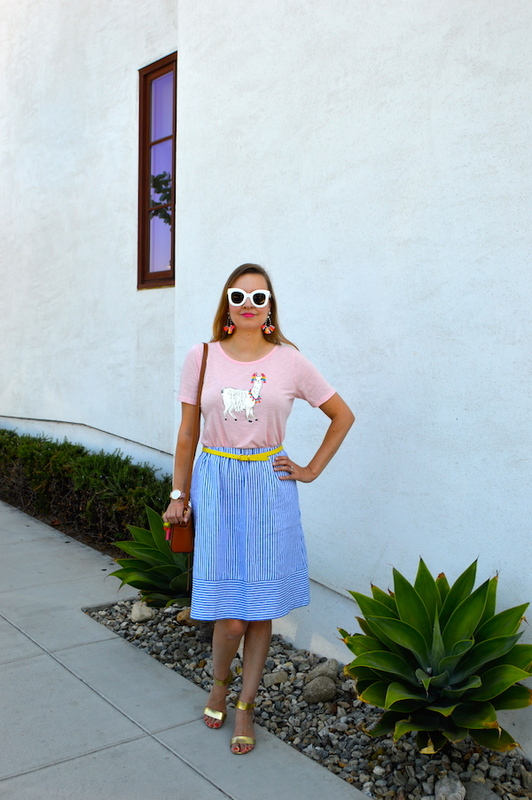 Llamas...they're so hot right now! 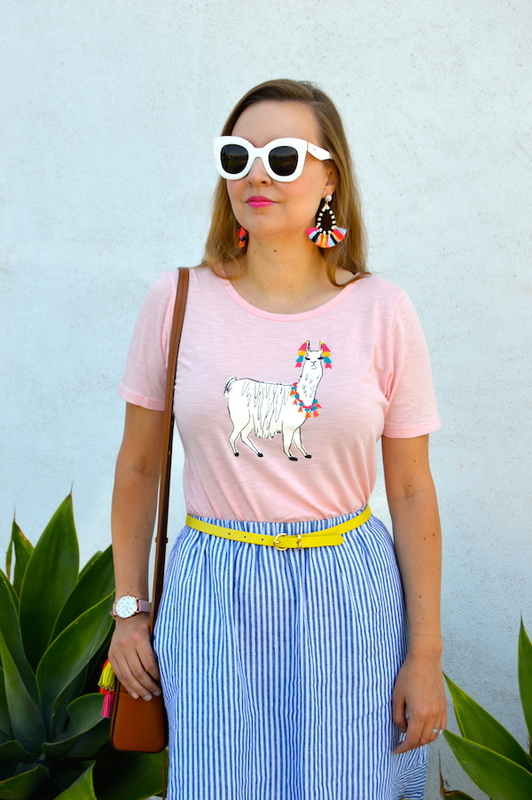 I feel like over the last year or so, llamas have been inching their way up the ranks as the latest "it" animal in fashion. 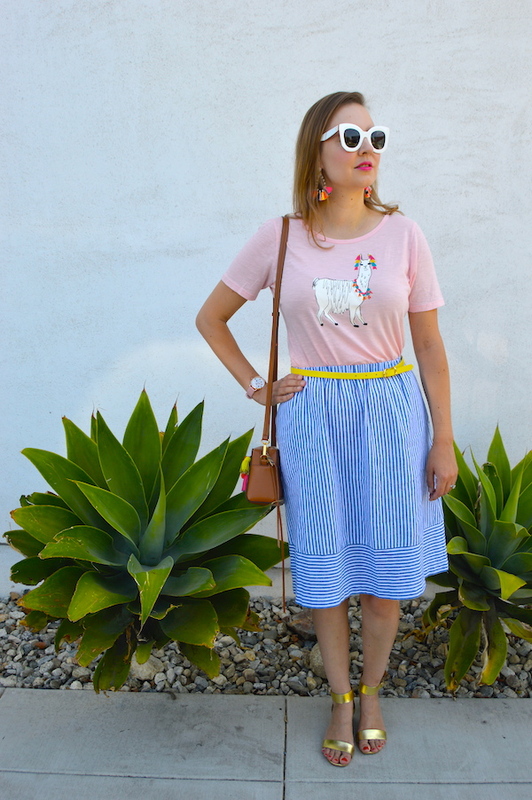 They are, after all, pretty cute and there are a lot of funny things you can do with the name llama (just look at the title of this post! 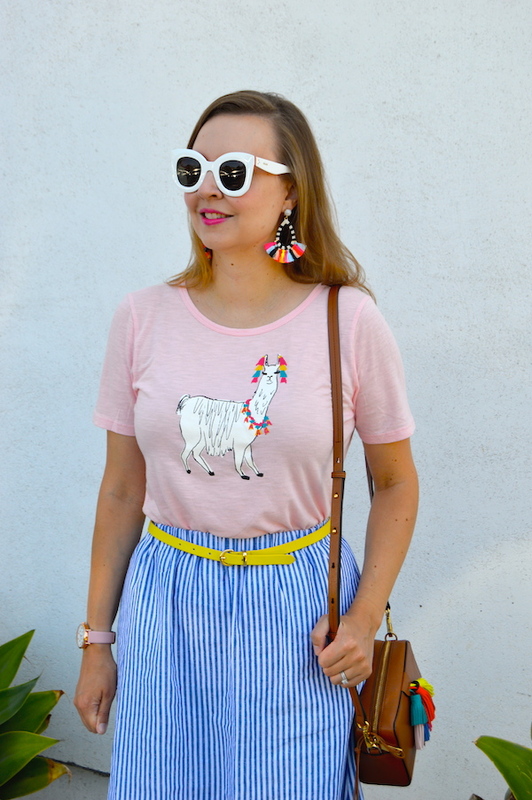 ), so I guess it makes sense that they would be appearing on T-shirts such as my llama tee from Old Navy and accessories like wristlets or even socks! 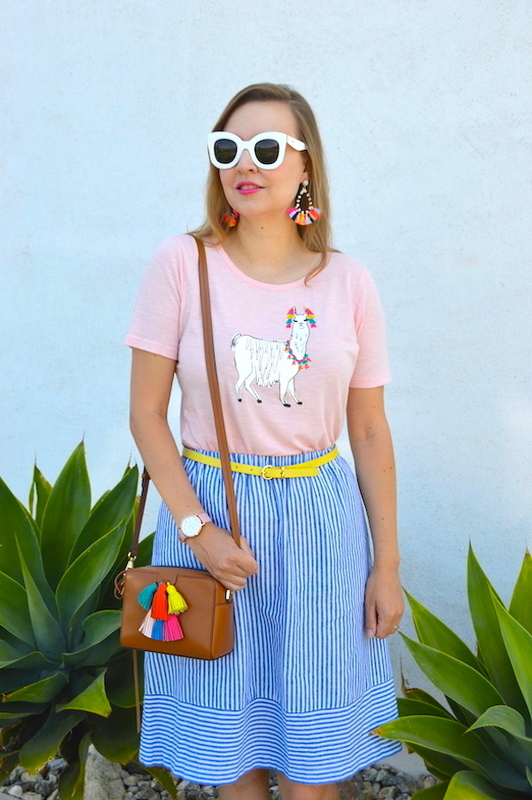 When styling this outfit, I turned to my husband with these colorful Baublebar earrings in hand and asked "are these too much with this tee?". To this my husband replied, "no, they match the llama's earrings!" and indeed they do! 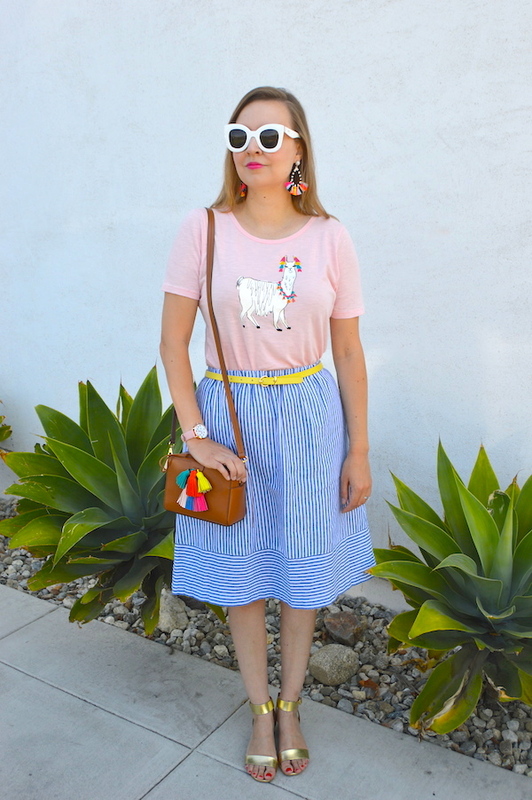 I guess that's another reason to love llamas; just like me, they apparently really love to accessorize! Oh my goodness what a cute tee!! 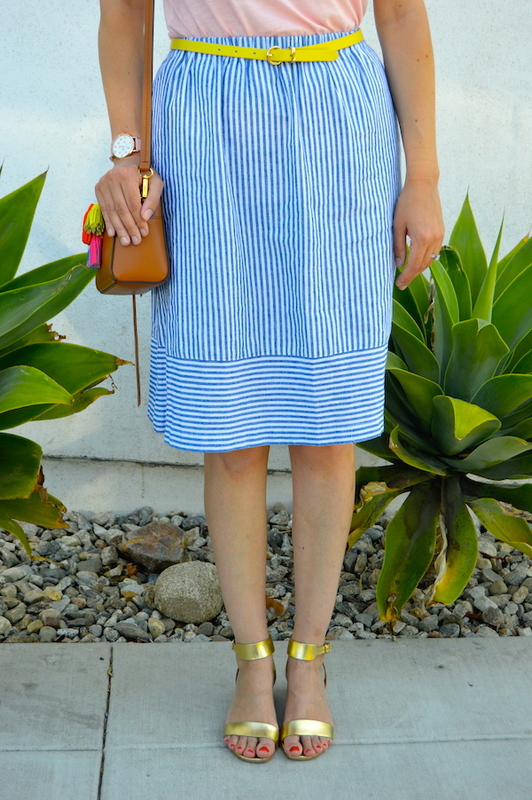 I just love the colors and fun vibe of this outfit! Wow! I can see the effort you put in to your blog. This post is beautiful, such amazing photos. THe actual blog design is also so pretty. Love you girl !